The last blast is done ... and concrete about to be poured. The excavation works for the ITER Tokamak Pit are making impressive progress: this week on Thursday the last blasting took place. 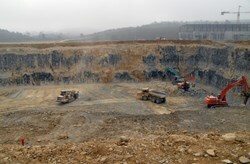 The 87 x 123-metre pit is now officially 298.65 metres above sea level—which means that the ultimate depth of 17 metres is almost achieved. 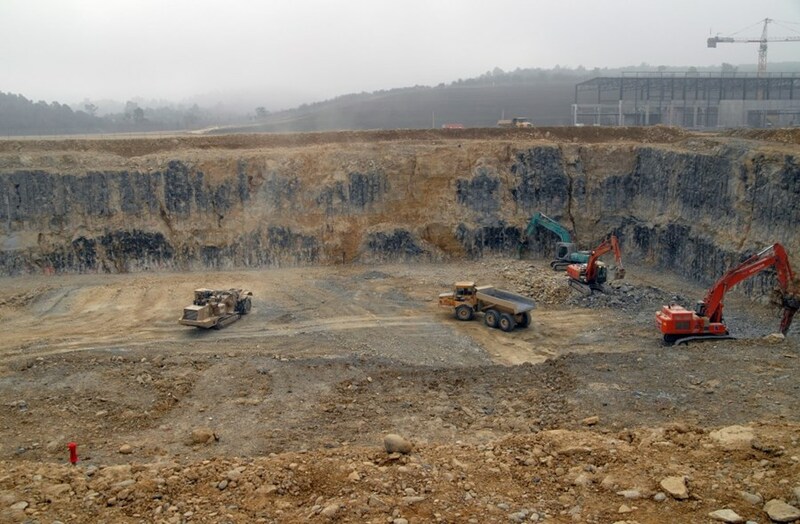 "We are well on schedule," said Jean Desfarges, construction manager for ENGAGE, the company in charge of the follow-up of the excavation work on behalf of the European ITER Domestic Agency. "The next step now is to finalize the survey of the underlying rock for which 660 boreholes will be drilled. Then, a 5 centimetre blinding layer of concrete will be poured before the thick, 1.5 metre concrete slab is filled in."